Located at the end of a sleepy cul-de-sac in highly prestigious Southview subdivision, this home boasts rich appointments & upgrades throughout, private & serene setting on an oversized lot with multiple patios which make for great entertaining. 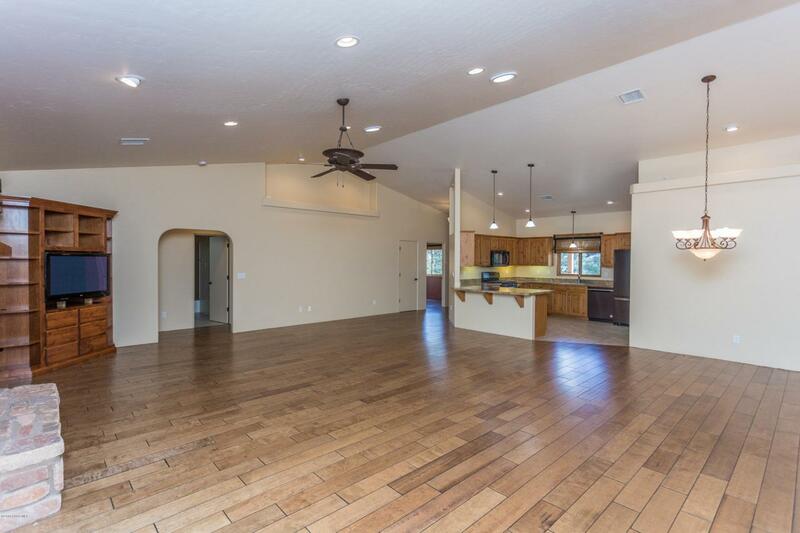 Features include an open & spacious great room & split bedroom design concept with vaulted ceilings, extensive combination of tile and engineered hardwood flooring, decorative plant shelving, stacked stone fireplace and more! Kitchen offers stunning granite counters with breakfast bar, freshly installed ''black stainless'' appliances in 2018 including range, dishwasher & refrigerator, knotty alder cabinetry, & pendant lighting. CONTINUE:Master suite boasts private access to rear patio, remodeled bathroom has in-floor radiant heat, raised height dual vanity with solid surface top, contemporary walk-in shower with 2 heads, and custom built out walk-in closet! 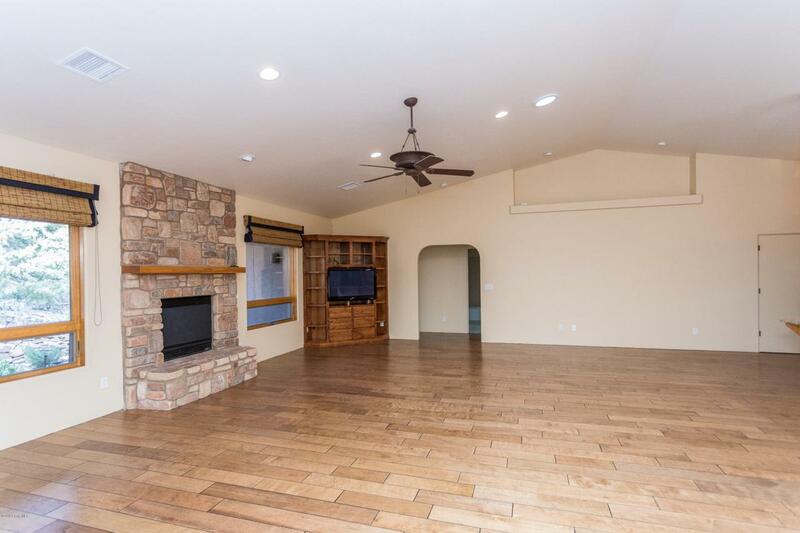 Great room features floor to ceiling stacked stone fireplace with blower, built in entertainment cabinet and adjacent dining area. 2 guest rooms are spaciously sized and are complimented by guest bathroom between, also having raised height vanity. Office/den easily converts to an additional bedroom by addition of a closet and features large built in desk making for perfect office at present. 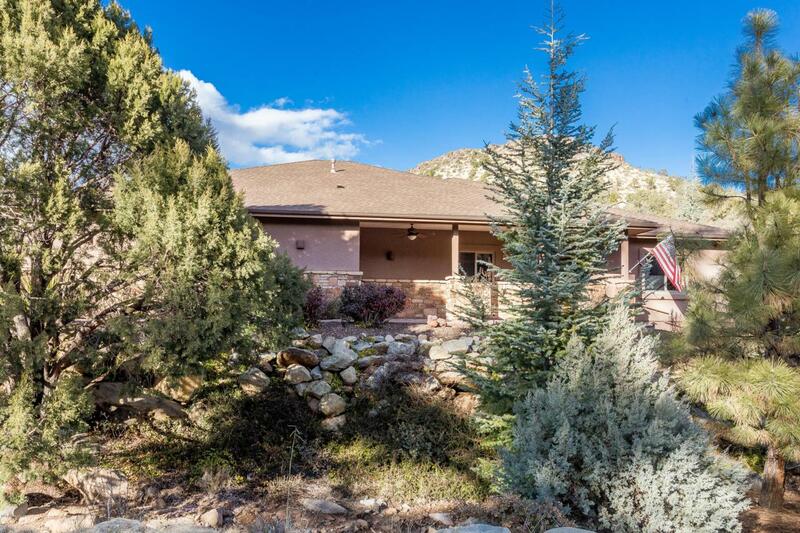 Other features include Anderson wood clad windows throughout with retractable screens, powder bath & spacious laundry room/pantry has great storage, upper cabinets and utility sink. The property is quite large and is low maintenance natural vegetation with mature trees and native species all contributing to the serene, private setting. HVAC was updated approximately 2012/2013, new floors 2013, new water heater with recirculating pump. Garage is oversized, served by a flat driveway and has built in storage cabinets, workbench, insulated overhead door and man door leading out the front. Please take note of lot size, the lot is much larger that meets the eye and extends far beyond what you might think!